Original leaf from a 1614 German edition of "Cosmographia" by Sebastian Munster. 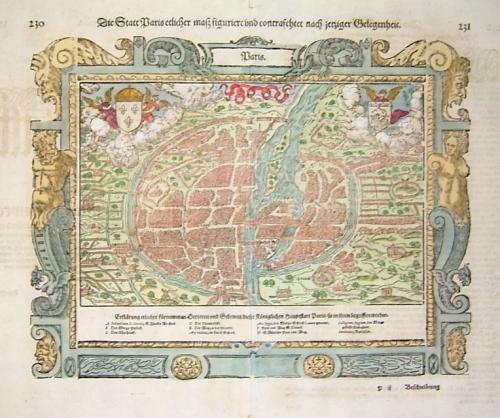 A map of old Paris that is in very good condition. On the full double page sheet: 35 x 42 cm Size of map: 25 x 32 cm.